Interview: Jon Schnepp and Holly Payne, director and producer of The Death of Superman Lives: What Happened? In 1996, Warner Brothers hired Kevin Smith to write a screenplay for a new Superman film. Director Tim Burton assembled an elite group of artists to work on it, including Nicolas Cage as Superman. But shortly before principal photography began on Superman Lives, Warner scrapped the project completely. Why? 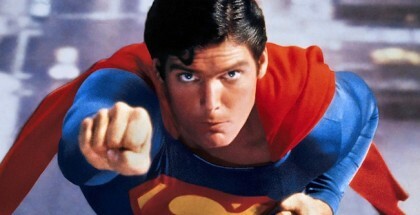 That’s precisely the subject of new documentary The Death of Superman Lives; What Happened?. 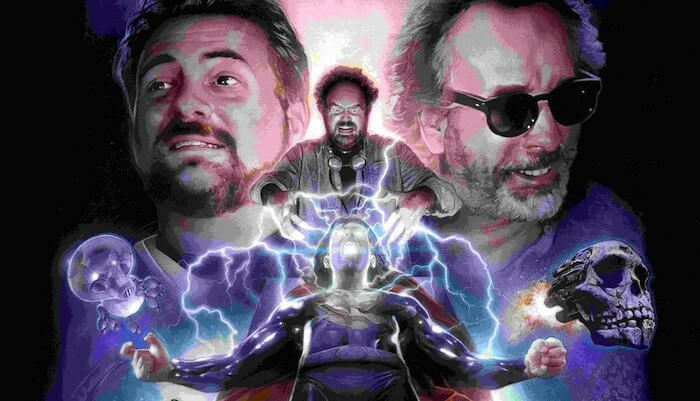 As the film flies out onto global VOD today, we chat to director Jon Schnepp and producer Holly Payne about Kevin Smith’s script, Marvel vs DC and trying to get hold of Nic Cage. Holly: John had been fascinated with Superman Lives ever since he’d seen concept art online that was really different for Superman. And he’d been sort of collecting these bits of concept art from the Internet for quite some time. And years later, we were at a show in L.A., it was at a place called Meltdown Comics, they were doing a music video sort of retrospective with the band Die Antwoord and they were there in person, and John noticed in the audience was this guy he knew from having made the Superman light-up rainbow suits that he’d seen online. So he approached him, this guy was named Steve Johnson and he actually is an incredible special effects guru – he created Slimer, he worked on Videodrome, all these other amazing projects, but John approached him and asked him “Hey, are you the guy who worked on these suits?” Steve was a little reticent to talk about it at first, because it’s just been so mythologised for so many years and sort of given a bad rap. So they talked for a minute and then we all went to dinner afterwards, and we were talking with some friends about it and they all kind of said “Hey, you know this is a really cool idea, this Superman Lives, you have so many questions and you’ve been thinking about it for so long – why don’t you think about crowdfunding it, putting it out there and seeing what the response would be?” So we thought about it for a while and then it literally just moved along, so we went ahead and did that, and we found out very, very quickly that there was a lot of interest out there, that he wasn’t alone, there were a lot of people who were also curious about this project. So from there we raised about $115,000 to start and then it was just sort of a waiting game and talking to the right people and making the right connections. Eventually, we got to Tim Burton, through a series of events, and then that’s when sort of the floodgates opened. Once we got the interview with Tim Burton, we were able to unlock all the other doors. Holly: Well, yeah. I mean, he was the director, he was the one in charge, so anyone who worked for him didn’t want to talk to us until we talked to him, which is completely understandable. It’s like, “Have you not talked to my boss? Well, then I don’t want to talk to you yet”, you know? But then once we did and once we got the interview with him and he was very forthcoming, then everybody else started to say yes, and then after the course of a year – altogether it was two and a half years – we managed to get pretty much everyone we needed for the doc, in their own words. Did you get hold of Nic Cage? Holly: That’s an interesting question. So, one of the things that we got with Tim Burton is that he gave us access, he gave us the keys to the kingdom, so we basically had access to all the concept art that he had, as well as video footage of the costume tests with him and Nic talking about the characters of Superman and Clark Kent and sort of throwing ideas around. So we had that footage as well. As far as reaching out to Nicolas Cage, we tried for two years and there was kind of a cat and mouse game – I was talking with his manager, Mike, and at the very beginning of this process the Cage meme sort of phenomenon had just kind of started getting going. So at that point he wasn’t super gun-shy, but he did say that he didn’t really want to talk about things in the past, he wanted just to talk about what he was working on presently. But as the Internet kind of attacked him, he became less and less receptive to doing it, because he didn’t know what we were doing, he wasn’t sure what kind of a story we were telling, whether it was going to be exploitative, or whatever. He had very good reasons to be dubious about it. But ultimately he declined to be interviewed, but that was after years of going back and forth. The fact of the matter is that we have something better than even interviewing Nicolas Cage right now, because we actually have him in ’97, ’98, in the costumes, talking about the character with Tim Burton. So you don’t miss him in the documentary, because he’s all over it. What are Tim Burton’s feelings about Superman Lives now? Holly: That’s all pretty much revealed in the documentary, but it hurts. I mean, it’s still a painful thing. I think if we had approached him even a few years ago, he would have said no. It was still pretty raw, even talking to him in 2014, so I think that he might have been a little gun-shy, but in some ways I think this turned out to be a bit of a catharsis for him, doing this interview for the documentary. What were the biggest challenges you faced in getting the film made? Holly: The biggest challenges were financial, pretty much. We raised money to do it on Kickstarter, but you run into expenses you just don’t anticipate, so we went broke about four times during the process of making this film. So financially, it was definitely an uphill climb – you know, we worked through it, but it was not easy. And then also, just sort of the pressure that you get from fans that really want to see this film now and you’re doing all you can to patiently wait for the subjects to say yes, you know? So documentaries take a long time to make, on average, they’re about four years – we did ours in two and a half years, but because you’re dealing with comic book-related subject matter, I think everybody’s kind of, like, they really want their super heroes now. They’re used to getting them right away, you know? So that was part of the pressure on us, but fortunately we’ve got really supportive fans and backers and they’ve said, “We’ll wait until it’s done the right way”, which is exactly what we did: we waited until we could get all the pieces of the puzzle to tell the story. So it felt like a long time, but in documentary years, it’s actually half the time. Holly: Honestly, I think that it was when – I mean, we didn’t know we had a movie even when we went to get all the concept art. It was amazing to see all of that stuff but we hadn’t pieced the whole story together then yet, so I would say that the biggest kind of “Wow” moment was when we got Jon Peters and we only got Jon Peters two months ago, so that was very recent towards the end of the production. Getting him and hearing his take on all this, because he was so deeply involved in this production – he was there before Tim Burton, he sort of worked on this longer than anyone else – that’s when it started to feel like we have a really well-rounded complete film now. Holly: I don’t think that we cut out anything that we were sorry to see go. We cut out things that just didn’t further the narrative, just didn’t move the story along. I mean, we watched so many different versions of rough cuts, but as we started closing in on the actual final product, we got very cutty, we cut a lot of things, but ultimately, it just moved everything along much faster. There are pieces that you’re going to see in the Blu-ray extras that are not in the film, but all those things, much like any other film where you watch the deleted scenes, it’s like, “Oh, I can see why they cut that, that doesn’t doesn’t move the story forward”. But they’re great, juicy bits anyway. They’re really amazing little details, but nothing that was absolutely mandatory to have in the film. Do you have a great, juicy little detail that springs to mind? What was the most surprising discovery you made during the making of the film? Holly: I think the biggest thing that we were bowled over by was how much art there was that was done for this production that never came to be. I mean we were there for two full 16-hour days at the Tim’s studio, his archive in L.A., and it was just copious amounts of drawings and all different styles. It was mind-blowing to see all that stuff. We knew about this film, but we didn’t know how much we were going to be encountering, and so when we actually opened up those boxes it was like, oh, my god, incredible and beautiful, and you’ll see all that in the film as well. Did you get to read the full script? Do you know what the story would have been? Holly: Jon is way more familiar with the scripts. He read every single script. I read Kevin Smith’s script, but that’s the only one that I read. So he knows all the ins and outs of every single script. He can actually come over and talk about that, if you would like? Holly: Alright, Jon, come on over here. He’s got the Nerd Flu right now, ever since MCM Comic-Con. Jon: Hey, what’s going on? So, you read the script? Jon: Yes. I read all the different versions. Very briefly speaking, what would the general story have been? Jon: Well the general story is basically Superman already exists, he’s out there doing his thing as Superman and this giant skull ship shows up. Brainiac is in it and he basically threatens the whole world. Superman fights Brainiac, he fights a creature that Brainiac had captured along Brainiac’s travels called Doomsday and Doomsday is able to kill Superman. Brainiac ends up teaming up with Lex Luthor, who Superman is fighting earlier in the film as well. Superman is kind of regenerated by Kryptonian technology and brought back to life, then comes back and defeats Brainiac. So that’s basically the story beats right there. That’s how it was in Kevin’s drafts, that’s how it was in Wesley Strick’s draft, that’s how it was in Dan Gilroy’s drafts. Is that quite similar to the Death of Superman comic? Jon: It most certainly is, minus the Brainiac element, Brainiac wasn’t involved. But it’s very similar, the story is very similar to the comic, but all the scripts take their liberties and definitely go in different directions. And all the scripts have entertaining moments and also moments that might not have worked so well, so it’s hard to tell exactly what kind of movie Superman Lives would have turned out, but going by just the creativity and the designs and the art work and everyone’s interest in it visually, it would have come across, I think, as one of the more cosmic fairy tales via super heroes to have come out in a long time. I think people’s perceptions of what this movie would have been are wrong, straight up. What the film would have been would have been a light-hearted take on the Superman mythology, it would have brought a humanity to the character of Clark Kent and Kal-El that no movie has since, or has been able to make, even with Man of Steel now, a connection with the audience. 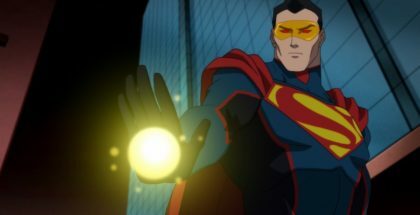 I think Tim and Nic’s portrayal of Kal-El, Superman and his alter-ego Clark Kent – I think audiences would have identified with him more than anyone else, because they were making him an outsider, an alien, someone who didn’t fit in, in a way that most kids who read comic books never felt like they fit in, they felt somewhat outside of the norm, so this kind of connection was very original and unique and unfortunately, they didn’t do it. So that, to me, I think would have really connected with people. How much of a sense did you get of how it would have worked as a Tim Burton movie. What kind of stamp do you think Tim would have brought to it? Jon: Well, just through the design sensibility, that stamp’s already there. When you see the movie, when you see our documentary, you’ll feel like you saw a portion of the Tim Burton Superman Lives movie, because we were able to uncover so much, courtesy of Tim, of the art and design work that had been done for the film. None of this stuff has ever been made public, so if you are a Superman fan and if you’ve done searches for Superman Lives, like I did for years, online, you would be shocked to see how much incredible work had gone into this production that has not been available to see until now. 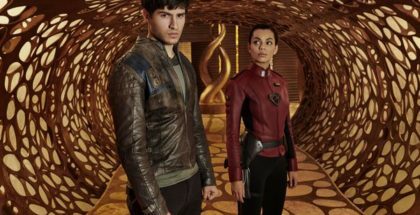 So I think most of Krypton has Tim’s design sensibility, Brainiac has Tim’s design sensibility, a lot of the characters in the world have Tim’s design sensibility, and then just the story, the spin that Tim is putting on it, like it brings a lot of his other classic tales, like feeling as like beings who are outsiders in their community. People like to make it sound like it would have been like an Edward Scissorhands, Goth-dark take on Superman, it wouldn’t have. It would not have had any of that dark take, as far as like Edward Scissorhands’ spooky look to it, but it would have definitely had an emotional take that Tim brings to all of his films. What impact do you think the film would have had on the current super hero culture if it had been made? Jon: I think it would have had quite a giant impact. I mean, you have to look at it like it was going to come out in 1999. The only other superhero film I believe that came out that year is Blade. You also have to look at it in the time of the 90s, where there was one or two movies every few years that were superhero films. It wasn’t like we’re living in the glut of super hero films now, the Golden Age of super hero films, which is what I like to call it, where we’ve got like seven or eight films a year coming out. Back then, the pickings were pretty slim and I think this Superman film would have re-energised the Superman franchise quite a bit, it would have brought that same kind of fame that the Batman film that Michael Keaton was involved in did 10 years earlier. I think it would have brought Superman and D.C. Comics forward into the forefront of superhero films – there would have been a sequel, definitely. There would have definitely been a Justice League movie, like probably in 2002, if not earlier. You would have had Wonder Woman and Green Lantern and The Flash, all those D.C. characters would have all had their stand-alone films much earlier. It would have changed the way Marvel is perceived now, because Marvel’s films wouldn’t have come out the way they did. As a matter of fact, Marvel was bankrupt in 1999 – D.C. might have purchased Marvel. It would have been different in that other world that we don’t live on. Jon: Well, yeah, a series of bad mistakes would be my summary, but basically, Warner Bros was in a period where they were having a lot of failures at the box office. Every single movie that was coming out, they had put like $15 million in, they were getting $20 million back, they were putting in $70 million, they were getting $30 million back. So there was a point where a company has to say “Hey, we have to slow down, we have to make choices”, and because there were people, also, who felt hiring Nic Cage was a risk, and because of the Internet and other things, you know, the response was a lot more vocal than with Michael Keaton. Michael Keaton, when he was hired as Batman, there were thousands and thousands of protest letters sent in to D.C. Comics. But the Internet didn’t really exist back then, so there wasn’t this kind of every day front page “What are they doing?”-type thing, which existed in the communities in ’98 and ’99, for sure. I also think that people were feeling a little unsure about Tim Burton as a director for Superman, which I think is silly, but the choices that people have – the studios decided to go with making Wild, Wild West instead of Superman Lives, so there you have it. How much, if any, crossover or similarity would there have been with Burton’s Batman? Jon: Well, I think they would have probably established them in the same world, that Gotham is down the way a little bit. A lot of people conjecture whether Michael Keaton would have come back as Batman – I think he would have. It wasn’t a done deal, but I think that the Nic Cage Superman and the Michael Keaton Batman would have existed in the same world. What are your feelings towards Superman now, having spent two and a half years being all Superman, all the time? Jon: Well, luckily, that’s not the case – really, the first year was just trying to get in contact with people, so it wasn’t like I was an embedded agent in the world of Krypton or anything like that. I had my own life, I worked on some different things, but as the years went on, we got more and more interviews, once we met with Tim Burton, the floodgates opened and we got access to the art work, we got other videos and just a lot of stuff, so then it became – it did become an all-consuming job for, like, the last eight months, literally every day we were working on it until two in the morning. But that hasn’t changed my feelings towards the comic book character or comic books in general. I still read comics and I’m happy that so many different comics are getting the chance to be told as a cinematic film or as a television series, but I sometimes feel that people really should read the comics and I know that there are a lot of people who are like, “I love superhero movies”, and I say, “Well, what comics have you read?” “None!” So the translation is not really helping too much. We probably have as many comic book readers in 1999 as we do here in 2015. The amount has been increased or decreased by one or two per cent, but it’s still a minority. Most people don’t read comics and they’re missing out on something that combines two of the the world’s greatest things, writing and artwork, and they’re combining it into something. And you don’t have to read comics that involve people in capes fighting each other – there’s all different kinds of comic books, there’s all different kinds of genres, there’s science fiction and there’s crime drama, there’s mystery, there’s a lot of different fun, escapist reading there for comic books and also the visuals. So I would hope that any of your readers who haven’t read comics give them a shot. Did your initial interest in the movie come from your interest in Superman or your interest in Tim Burton movies? Jon: Neither – my interest came from the artwork. My initial interest in it was I saw some of this artwork from one of the concept artists, Sylvain Despretz, it came out this presence came out in like 2001 and it just had this Heavy Metal look to it, the graphic comic series Heavy Metal, it just had a different look and tone to it, which piqued my interest and made me interested in this different version of Superman, so that’s why I started collecting artwork years later. And ultimately, after finishing the film, I know it wouldn’t have been that radically different, it still had all the touchstones that are what makes Superman Superman, but it would have had a completely different take in certain areas of it. I think it would have been a pretty fantastic film, so upon making the documentary, I am bummed that the film doesn’t exist, but it’s great to share the what-ifs and what-could-have-beens with other people who are interested in it. Do you have plans to direct again? Jon: Oh, of course – I’ve been directing for the last 15 years. I’ve been directing mainly cartoon shows like Metalocalypse and Venture Brothers for Adult Swim – that’s what I’ve been mainly doing. But, yeah, I’m working on two different screenplays right now – one is a horror comedy and the other is a horror musical comedy. So there’s those two and then I’ve got a couple of TV series that I’ll be pitching as well. So there’s a bunch of different things I want to do in the next few months, after I’m done with this documentary. Jon: Yeah, one of the television shows is super hero-related. 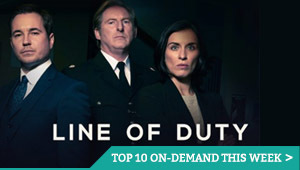 To be honest, two of them are, I’m pitching two series, but they’re very different. But yeah, one of them definitely involves a super hero. One last question: which of the current or future possible comic-based properties or movies are you most excited about? Jon: Let’s see. Well, coming up right around the corner is the new Fantastic Four film, which I’m very excited about. It feels from the trailers like a sci-fi horror film, which is great. That’s a take on the super hero genre which should be explored. I don’t think everything has to fall into the Marvel world of being like slightly comedic – don’t get me wrong, I love the Marvel films, and I love that they all kind of tie together in that way – and that’s what makes me interested in Batman vs Superman: it is going to be a little darker in tone. And I think that’s a smart thing for D.C. Comics to embrace and take along with their new cinematic world that they’re building, is to take a different tone that’s different from Marvel, to differentiate the two. So yeah, that film, right off the bat, I think it’s going to be pretty interesting. How can people see the film? www.tdoslwh.com – that’s the only place it’ll be available, at least for the first month or so. It will only be available as a digital download or you can buy it digitally and there’ll be the regular version or you can buy the super-enhanced version, which is the film plus three additional hours of extra features. So anybody who wants to get really sweaty should get the super-deluxe version, which is going to have two extra features of just Kevin Smith alone, which are like 30 to 40 minutes each. Intrigued? You can watch the first 10 minutes of the film here.